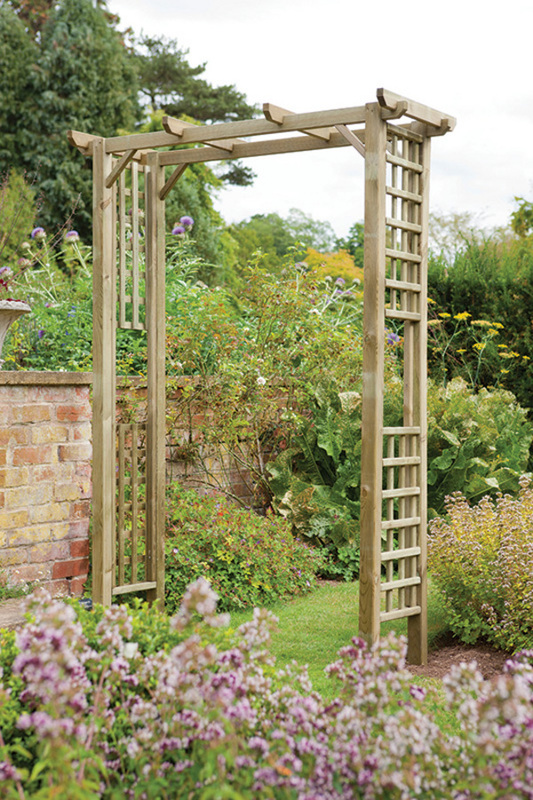 This attractive timber Berkeley Garden Arch is a traditional square garden arch with decorative square trellis sides making it ideal for climbing plants boasting pergola styled roof beams. Manufactured from FSC Certified timber sustainably sourced pressure treated for a long life no re treatment required. - maintenance free. Sturdy construction with a planned smooth rustic timber finish. 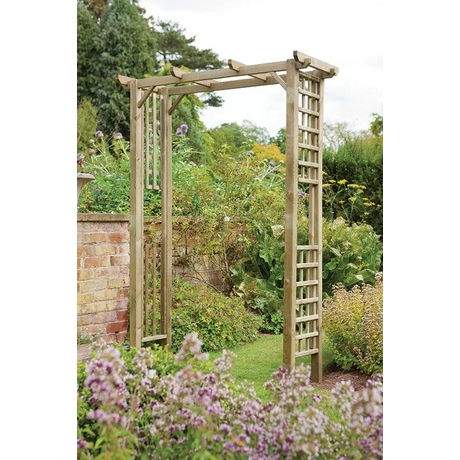 Rebated square trellis side panels ideal for climbers. Flat packed assembly required - all fixings and instructions included. All arches have extended legs for fixing straight in to the ground. Forest garden 15 year anti rot guarantee. Delivery 5 to 7 working days. Sorry, Forest products can NOT be delivered to the Isle of Wight, Northern Ireland and any other Offshore Islands. High Quality Product! Superb service the goods arrived second working day after order. Mr Machin, Surrey.